2. In so far as holy places are concerned, the liberty of access, visit and transit shall be guaranteed, in conformity with existing rights, to all residents and citizens of the other state and of the city of Jerusalem, as well as to aliens, without distinction to nationality, subject to requirements of national security, public order and decorum. Similarly, freedom of worship shall be guaranteed in conformity with existing rights, subject to the maintenance of public order and decorum. 3. Holy places and religious buildings or sites shall be preserved. NO act shall be permitted which may in any way impair their sacred character. If at any time it appears to the government that any particular holy place, religious building or site is in need of urgent repair, the government shall call upon the community or communities concerned if no action is taken within a reasonable time. 4. No taxation shall be levied in respect of any holy place, religious building or site which was exempt from taxation on the date of the creation of the state. NO change in the incidence of such taxation shall be made which would either discriminate between the owners or occupiers of holy places, religious buildings or sites, or would place such owners or occupiers in a position less favorable in relation to the general incidence of taxation than existed at the time of the adoption of the assembly's resolutions. 5. The governor of the city of Jerusalem shall have the right to determine whether the provisions of the constitution of the state in relation to holy places, religious buildings and sites within the borders or the state and the religious rights appertaining thereto, are being properly applied and respected and to make decisions on the basis of existing rights in cases of disputes which may arise between the different religious communities or the rites of a religious community with respect to such places, buildings and sites. He shall receive full cooperation and such privileges and immunities as are necessary for the exercise of the functions of the state. Palestinian citizens residing in Palestine outside the city of Jerusalem, as well as Arabs and Jews who, not holding Palestinian citizenship, reside in Palestine outside the city of Jerusalem shall, upon the recognition of independence, become citizens of the state in which they are resident and enjoy full civil and political rights. Persons over the age of eighteen years may opt, within one year from the date of recognition of independence of the state, providing that no Arab residing in the area of the proposed Arab state shall have the right to opt for citizenship in the proposed Jewish state and no Jew residing in the proposed Jewish state shall have the right to opt for citizenship in the proposed Arab state. The exercise of this right of option will be taken to include the wives and children under eighteen years of age of persons so opting. Arabs residing in the area of the proposed Jewish state and Jews residing in the area of the proposed Arab state who have signed a notice of intention to opt for citizenship of the other state shall be eligible to vote in the elections to the constituent assembly of the state in which they reside. 1. The state shall be bound by all the international agreements and conventions, both general and special, to which Palestine has become a party. Subject to any right of denunciation provided for therein, such agreements and conventions shall be respected by the state throughout the period for which they were concluded. 2. Any dispute about the applicability and continued validity of international conventions of treaties signed or adhered to by the mandatory power on behalf of Palestine shall be referred to the international court of justice in accordance with the provisions of the statute of the court. 1. The state shall respect and fulfill all financial obligations of whatever nature assumed on behalf of Palestine by the mandatory power during the exercise of the mandate and recognized by the state. This provision includes the right of public servants to pensions, compensation or gratuities. 2. These obligations shall be fulfilled through participation in the joint economic board in respect of those obligations applicable to Palestine as a whole, and individually in respect of those applicable to, and fairly apportionable between, the states. 3. A court of claims, affiliated with the joint economic board, and composed of one member appointed by the united nations, one representative of the united kingdom and one representative of the state concerned, should be established. Any dispute between the United Kingdom and the state respecting claims not recognized by the latter should be referred to that court. 4. 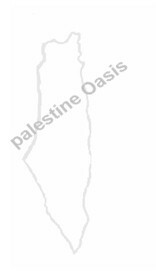 Commercial concessions granted in respect of any part of Palestine prior to the adoption of the resolution by the general assembly shall continue to be valid according to their terms, unless modified by agreement between the concession holder and the state. 1. The provisions of chapters I and II of the declaration shall be under the guarantee of the united nations, and no modifications shall be made in them without the assent of the general assembly of the united nations. Any member of the united nations shall have the right to bring to the attention of the general assembly any infraction or danger of infraction of any of these stipulations, and the general assembly may thereupon make such recommendations as it may deem proper in the circumstances. 5. Access for both states, and for the city of Jerusalem on a non discriminatory basis to water and power facilities. 4. The functions of the joint economic board shall be to implement either directly or by delegation the measures necessary to realize the objectives of the economic union. It shall have all powers of organization and administration necessary to fulfill its functions. 6. In the event of failure of a state to take the necessary action the board may, by a vote of six members, decide to withhold an appropriate portion of that part of the customs revenue to which the state in question is entitled under the economic union. Should the state persist in its failure to cooperate, the board may decide by a simple majority vote upon such further sanctions, including disposition of funds which it has withheld, as it may deem appropriate. 8. In regard to the joint currency system the currencies circulated in the two states and the city of Jerusalem shall be issued under the authority of the joint economic board, which shall be the sole issuing authority and which shall determine the reserves to be held against such currencies. 9. So far as is consistent with paragraph 2(b) above, each state may operate its own central bank, control its own fiscal and credit policy, its foreign exchange receipts and expenditures, the grant of import licenses, and may conduct international financial operations on its own faith and credit. During the first two years after the termination of the mandate, the joint economic board shall have the authority to take such measures as may be necessary to ensure that to the extent that the total foreign exchange revenues of the two states from the export of goods and services permit, and provided that each state takes appropriate measures to conserve its own foreign exchange resources each state shall have available, in any twelve months' period, foreign exchange sufficient to assure the supply of quantities of imported goods and services for consumption in its territory equivalent to the quantities of such goods and services consumed in that territory in the twelve months' period ending 31 December 1947. 12. The tariff schedules shall be drawn up by the tariff commission, consisting of representatives of each of the states in equal numbers, and shall be submitted to the joint economic board for approval by a majority vote. In case of disagreement in the tariff commission, the joint economic board shall arbitrate the points of difference. In the event that the tariff commission fails to draw up any schedule by a date to be fixed, the joint economic board shall determine the tariff schedule. 14. After these obligations have been met in full, the surplus revenue from the customs and other common services shall be divided in the following manner: not less than 5 per cent and not more than 10 per cent to the city of Jerusalem; the residue shall be allocated to each state by the joint economic board equitably, with the objective of maintaining a sufficient and suitable level of government and social services in each state, except that the share of either state shall not exceed the amount of the state's contribution to the revenues of the economic union by more than approximately four million pounds in any year. The amount granted may be adjusted by the board according to the price level in relation to the prices prevailing at the time of the establishment of the union. After five years, the principles of the distribution of the joint revenues may be revised by the joint economic board on the basis of equity. 15. All international conventions and treaties affecting customs tariff rates, and those communications services under the jurisdiction of the joint economic board, shall be bound to act in accordance with the majority vote of the joint economic board. 16. The joint economic board shall endeavour to secure for pastiness exports fair and equal access to world markets. 20. During the initial ten year period, the undertaking and any treaty issuing therefrom may not be modified except by consent of both parties and with the approval of the general assembly. 22. The movable assets of the administration of Palestine shall be allocated to the Arab and Jewish states and the city of Jerusalem on an equitable basis. Allocations should be made by the united nations commission referred to in section b, paragraph 1, above. Immovable assets shall become the property of the government of the territory in which they are situated. 23. During the period between the appointment of the united nations commission and the termination of the mandate, the mandatory power shall, except in respect of ordinary operations, consult with the commission on any measure which it may contemplate involving the liquidation, disposal or encumbering of the assets of the Palestine government, such as the accumulated treasury surplus, the proceeds of government bond issues, state lands or any asset.